I’m an avid fan of cyberpunk as am I an avid fan of the only series I’ve ever played by Hideo Kojima, Metal Gear (both Solid and the MSX titles), so you would think naturally I would love this game. 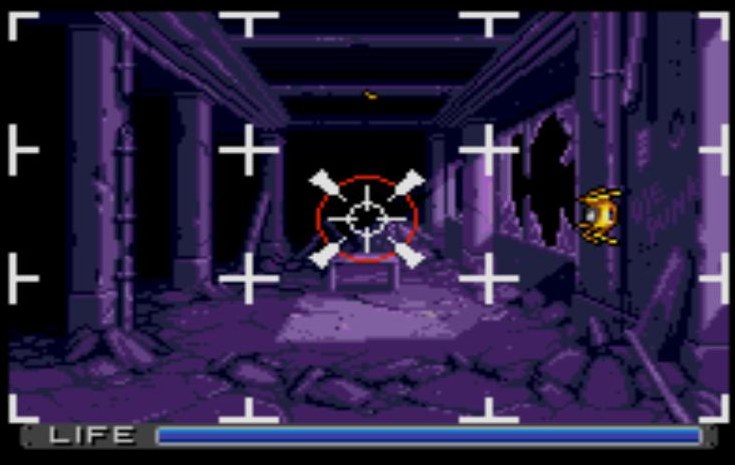 Granted, being an adventure game that is slower in pace was somewhat of a setback for a player like me that doesn’t care for the genre, but the “annoying” light gun sequences helped sweeten the deal. 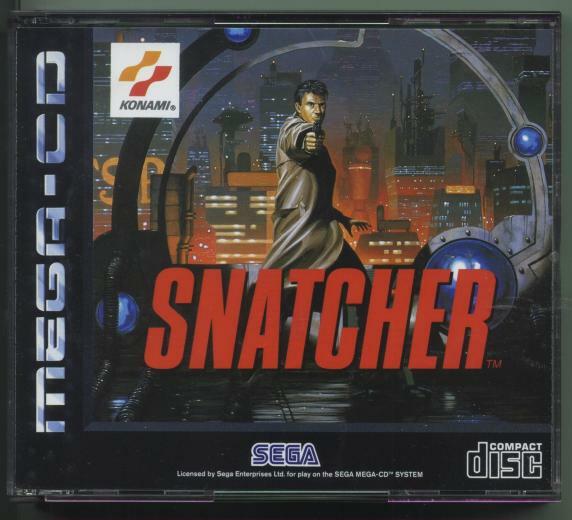 I will confess to having my light gun not hold up to the shooting sequences and since playing through this title I’m fairly certain my Justifier light gun no longer works, but I can safely proclaim that it wasn’t Snatcher that broke it. 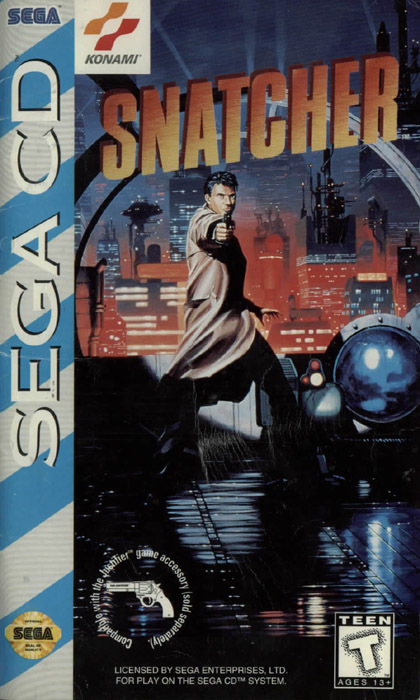 Anyway, put it altogether in a Blade Runner type game and I’m sold from start to finish, even if the pacing of this title is its biggest weakness. This week the “$130 episode” features the NES sequel to Solomon’s Key Fire’n Ice and the recently featured Retronauts favorite Skyblazer for the SNES. Here’s our complete Let’s Play of the PS2 Japan/Europe exclusive by Grasshopper Manufacture and Suda51, Michigan: Report from Hell. Merry Christmas fellow readers. 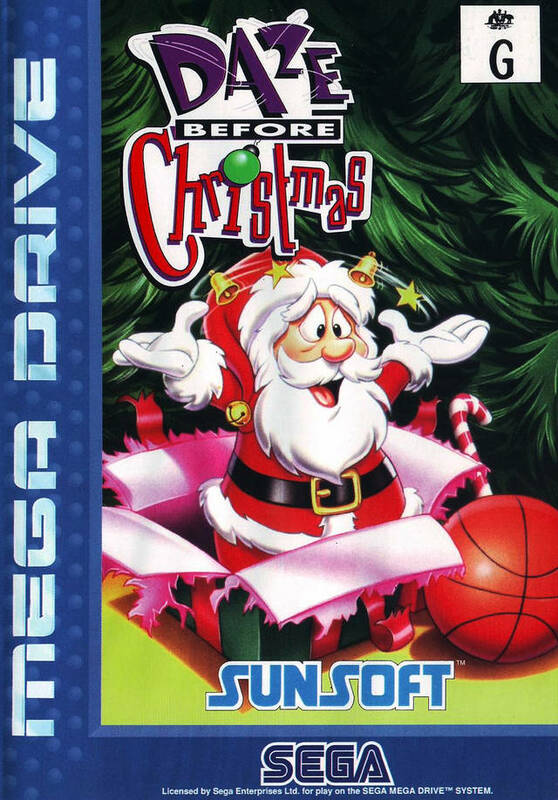 Today we are looking at one of the only true Christmas themed games, which is also one of the most rare 16-bit titles released. Originally developed by then newcomer Funcom, Daze Before Christmas took a whopping year to develop (most games took 4-6 months back then) and was really just a conversion of the developer’s other game We’re Back: A Dinosaur Tale. It eventually wrapped up and publisher Sunsoft decided to release it exclusively to Australia (a PAL region) in 1994, which is why the title is expensive and hard to find. Near the end of the summer of release (most games came out in the summer to prepare for word-of-mouth advertising in the holiday season) an SNES port released in Europe, but only in Germany, which again explains its rarity on that platform. Sunsoft USA had begun work on a US version for both consoles but it was canceled as Sunsoft USA was nearing its closing in late 1994. It’s really too bad because aside from being super easy, the game is a solid Christmas themed platformer with Santa as the playable character, bright colorful graphics, and a synth Christmas soundtrack. While a legitimate copy will cost you on the upwards of $100+ today (not to mention the mods needed to a Genesis/SNES to actually fit the cart in your console), reproduction carts like the one I got are much more affordable around $30-$40 online. For a game that can be completed by almost any seasoned gamer in about an hour and a very narrow theme that may seem like a hefty price tag, but I’ve seen people pay more than that for a copy of fellow holiday game Christmas Nights so supply does justify the purchase. Either way, Merry Christmas and enjoy Daze Before Christmas. Friendly warning: I get too close to the mic for portions of the playthrough so I apologize for the jet engine breathing. In what is easily the two hardest game titles to spell, we are going dark for this week’s Retro Game Night. First up is user @NeoJakeMcC requesting one of the first ever rogue-likes from the Genesis/Mega Drive: Fatal Labyrinth. Next up is the relatively rare hybrid between survival horror, first-person shooter, and adventure: Call of Cthulhu Dark Descent. If you’re not familiar with this Playstation 2 title it’s probably because it never came out. On our most recent podcast, we discussed the developer Treasure, responsible for a slew of great and popular titles but the company itself is quite lesser known to those in America. With a resume that spans almost every console from the 16-bit era on, there are some odd releases that Treasure is also responsible for, namely Tiny Toon Adventures: Defenders of the Universe (which will be referred to as DotU from now on and was also at one point Defenders of the Looniverse). Conspiracy Games, a somewhat obscure publisher that is responsible for a bunch of licensed and lower budgeted projects on the PS2, Wii, and PSP, must have acquired the Tiny Toons license because it was and has developed a few games for the series. Conspiracy specifically works with developers that want to make a game but do not have the financial backing to do so. 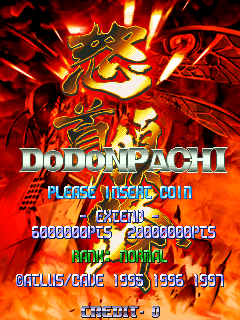 This title was to be a somewhat large collaboration that had Tetsuhiko Kikuchi (aka HAN), best known for the great Saturn brawler/RPG Guardian Heroes, as director and even its own web site: http://www.dotu.com. Very little is known about the development cycle, struggles, or overall issues about the development of this game, but what started as an early PS2 release in 2001 eventually was delayed 3 years into 2004 (according to IGN) and eventually canceled. Because deals with publishers and developers often result in delayed processes and forced decisions that the creative team does not like, it’s really anyone’s guess why this game spent so long in development and was eventually sapped. Somehow, a prototype of the game was recovered and released on the Internet for all to enjoy. In order to play this “game” you need to either have a PS2 emulator on your computer (that runs marginally well) or burn the game to a disc and play it on a modded PS2. I have a modded PS2 so I check it out on the latter. Below is a video of the gameplay and pretty much the entire prototype (I was one or two screens from the end), which appears to be simply a demo. It’s pretty interesting that the game seems to support up to four players taking on each other in a hybrid co-op/competitive team game to save the Universe. DotU seems to harken back to the N64 days – at the time of initial development somewhere around 2000 this would make senses until a publisher comes in and explains that the N64 is dead and to release a game is far too great a risk and cost. I don’t even know if the 4 player multi-tap for the PS2 was out yet, but you can see where Treasure would have made great use of it. I wish there was more to this game – I’ve heard this is a nearly completed version, which sounds completely wrong since there’s only about half an hour of content on this disc and half of it is cutscene. Still, had they continued on and increased the dynamic of team play while also adding the challenges of beating the group, I could see this being one of those licensed games we discuss that was “ahead of its time.” As it stands the title remains unfinished and unreleased, lost to the annuls of history and just another holy grail of people like myself that want to experience as many prototypes as possible. If you have the capabilities to play it, especially with multiple controllers, you may want to check out this early knock-off of a Mario Party title. For the majority of you, here’s 18 minutes of a game that never saw the light of day. Ah March, shmuppreciation is back and in full effect on Gaming History 101. If this is your first time hearing the phrase, shmuppreciation is for the love of the shoot-em-up genre (shmup for short) and is celebrated all March on the site. If you missed Shmuppreciation 2012 I highly recommend you check it out as we provided more than 30 articles dedicated to introducing you to genre specifics and the myriad of popular series in the most triumphant genre of all time. This year we’re going past introductions and into the intermediate world of shmups, which requires more skill, dedication, and money than the games covered last year. While I would hardly call the games we will be covering obscure by any stretch, these titles are much less known outside of enthusiastic shmup fans. To kick it off we’re featuring the top 5 games worth importing. Shmups are of the most expensive games out there so you can expect a bit of sticker shock even with the games mentioned here. Just keep in mind that you’re currently dropping $60 for day one releases and sometimes even more if you’re into that special edition stuff. The titles in this list are unique because they have not seen a release, even digital, within the United States and thus require some sort of special circumstances to play today. There’s a great list of import games that have released digitally on PSN, XBLA, and Wii Virtual Console as well so be sure to check out our article on those titles as well. In order to play these games you have to either import them or get access to a digital service outside of your region. The links in each title will take you to the games’ review or video on our site.